It's officially summer. And to top it off the weather must have heard the news as well because it finally turned into sunshine today. Honestly I wasn't sure if it was going to happen. I'm glad. It means good things all around. Good vibes, healthy feelings, picnics, summer concerts, bathing suits, swimming, and maybe if you're like me library visits for summer reads. When I was a kid I lived between the pool and the library. The summer reading program was more than an encouragement it was my earnings for the summer. Two panes of glass stood between myself and the prizes that I would earn for reading 10 books. Everything from free pizza and ice cream coupons, to new books, pencils, notebooks,etc. The cache they had tucked away inside the sliding doors of prizes was enormous for a 10 year old. I don't know how they got the prizes? It's funny, it was a challenge for most kids to earn one prize. I was there every week sometimes twice a week collecting prizes. I knew the librarians personally and they never questioned my honesty of reading the books. You had to fill out a slip with the title and authors of all of the books and then you would pick your prize. It was so simple. I confess I was and still a readaholic. I may have to start the 12 step program soon for book nerds. I am sure that for others, getting through 10 books took them all summer, but for me it was like someone was sitting around giving me free money. Maybe that's why I like writing now? Reading and writing go hand in hand. I don't get free pizza now, but wouldn't that be nice? Instead I have learned to share. Share my recipes, my ideas, my dreams, my world. Once a reader always a reader no matter if you like paperbacks, electronic, audio, or whatever form you choose reading opens worlds. Cookbooks are included in this list and they are what helped me learn the odds and ends of cooking. Yeah, there is youtube and all kinds of videos on how to do everything in the kitchen and don't get me wrong, I use them. Alot. You can't be a food blogger and not use them. I watch videos, but I still always go back to books. I'm sure it's age related and what I grew up with but libraries and books will always hold wonderful memories for me. How about you? I hope wherever you are you have a chance to visit a library this summer. Maybe it will have to be a virtual library but either way books can open your world. I don't really know, but it might be the start of a great story don't you think? I'll let you know when the book comes out...😉😉. Until then eat Avocado Toast🥑, drink coffee☕️ and Read a book in the sunshine, cause it's summer, and it's a good idea. Heat a small pot of water in order to poach egg. You can add a little white vinegar to the water to make the poaching easier if you prefer. Crack an egg into a separate dish and once water temperature reaches 110 degrees or starts to bubble slightly then stir water around into a small whirlpool and in center of whirlpool slide egg from dish into pot. Allow to cook for 3 minutes and then remove with a slotted spoon. While egg is cooking toast bread and then when done butter and add pinch of garlic powder on top of butter. Cut avocado in half ,save avocado pit in other half do not remove, slice Avocado and remove from skin this is easily done with a spoon. Place egg on Toast and avocado slices surrounding. Top Avocado and Egg with Salt, Cumin seeds, Nigella seeds and optional crushed pepper. Eat and enjoy...with a good book and a great cup of coffee. 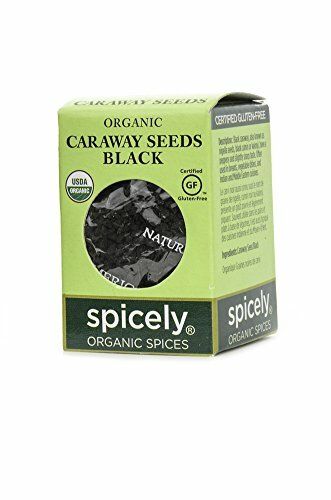 Nigella Seeds (aka black caraway) tastes like a combination of onion, black pepper and oregano (purchase above) You will love it! 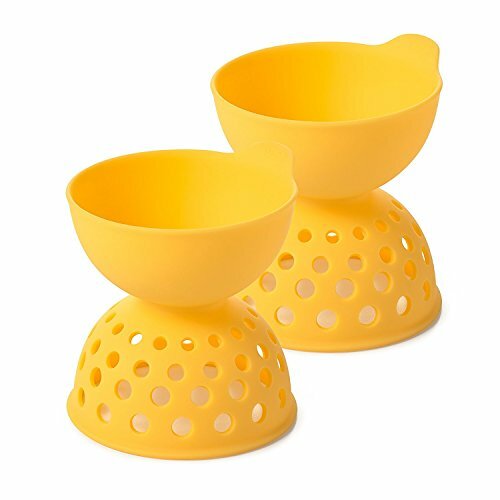 The egg poaching set from OXO works like magic, if you want a little extra help.